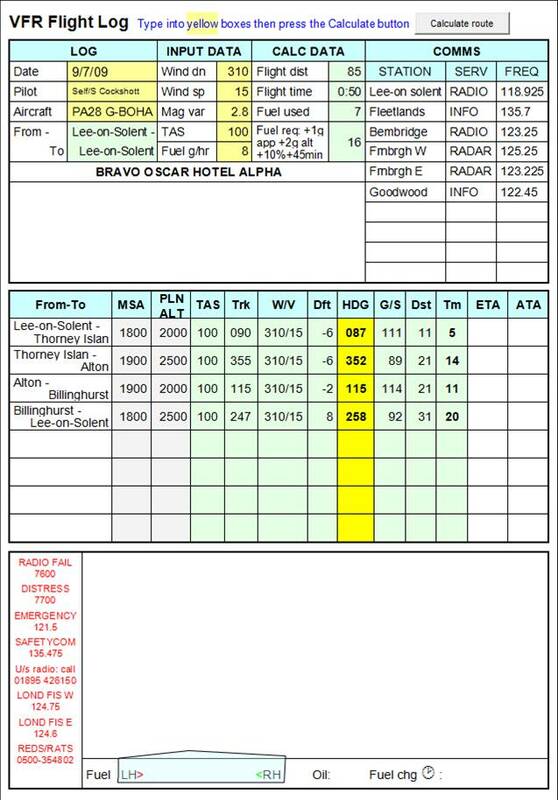 This utility creates fully calculated flight plans to test against your own calculations. Download the Word document - note it does contain macros 3MB. The flight planner is a single Word document CDEV Flight Planner.doc which does contain macros. Download it to your hard drive and then double-click it to open the document and follow the instructions it contains - call us for any help.